The Western Balkans Alumni Association (WBAA) just celebrated its first General Assembly in the beautiful city of Tirana, Albania’s capital. Reaching a first General Assembly of an association of young intellectuals scattered across six Western Balkans countries is a true milestone, especially in the hearts of the pioneers who have been there since its inception. 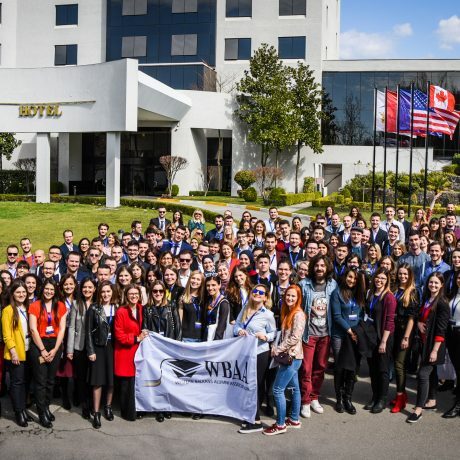 Around 170 of WBAA´s most active members have gathered in Tirana to discuss, network, collaborate and unify under the common denominators of quality, hard work, meritocracy and tolerance, facilitated by the European Commission as Western Balkans Alumni Association. The first GA had intense agenda of making a Regional Board official, establishing statute, governance and membership principles, announcing ongoing projects such as the online community and introducing the community manager as intermediary link between the members, their bodies and EC. In the envisioned structure of WBAA mandate has been given to the WBAA teams (working groups) in the areas of projects, research, academic and career development, internal affairs and communications & IT. They resulted with substantial work on the specific aspects to work on, and heads and deputy-heads of teams have been appointed. On the margins of the GA, members gathered per national chapters, while still, having in mind the emphasis on the collective strengths on WBAA, synergy and emergent effects. The entire GA can be recognised by enabling number of project ideas to be conceptualised – and members being encouraged to give feedback but also explicitly join the offered and come up with new projects. It was also the perfect opportunity for announcing the upcoming WBAA Call for Projects, which will be launched in April for a total value of 80,000 EUR. Members of the association are encouraged to channel their brightest ideas and to apply for small, medium or large-scale projects, ranging from contact seminars to outreach activities, trainings and much more, so that WBAA increases its presence, membership and before all, positive impact in the region and Europe. The first GA has been official and celebratory event that reflected past efforts and motivated with remarkable energy future actions and engagement. In the year(s) to come, we could only recommend dense push with positive examples and follow up of activities, so that the proactivity among the members prevails and adds up on unimaginable potentials of WBAA as network and through its members, each of which as special as can be. After the event, participants were encouraged to learn more about Albania by visiting a former communist leader’s anti-nuclear bunker turned museum or by exploring the lush green scenery of Mount Dajti (pronounced “Daïti”), a mere thirty minute ride from downtown Tirana. Here you can see the first visual impressions of the WBAA General Assembly. Be the first to be notified about our new content, updates and giveaways!